Marketers should learn to "fail fast", according to Marks & Spencer director of loyalty, customer insights & analytics Nathan Ansell. 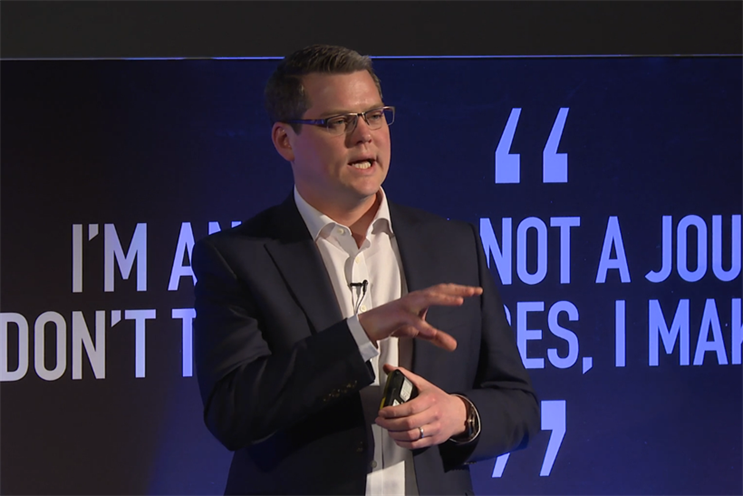 Ansell was speaking to an audience at Advertising Week yesterday (20 April) about the lessons he has learned as a ‘poacher turned gamekeeper’ who made the jump from FMCG into retail. Before joining M&S in 2011, Ansell held marketing roles at Birds Eye Iglo, Heinz and Red Bull. "Moving fast is really important," he said. "There’s nothing wrong with making mistakes. "One of the things we’ve discovered over the years is that you only get credit from the customer if you’re first - if you’re second in, the customer doesn’t credit you, they think you’re doing it for yourself rather than them." He added that "one of the nice things" about being a retailer rather than a supplier was the abiility to correct mistakes quickly. He said: "When you launch a new range, you know really within a day or two whether or not it’s going to be successful. It really is that quick. So there’s a lot to be said for failing fast and fixing the plane while it flies." Prior to his current role, Ansell was M&S group head of brand and marketing for food - the part of the business that has gone from strength to strength, while its clothing division has floundered. He told the audience that the biggest reason behind food’s success was having a very clear proposition. "There were two quantum leaps we made as we developed our strategy," he said. "Number one was our target customer - we made sure we were really clear that they were a food discoverer. "That group was actually only about 16% of our total sales, but there’s an aspirational pull for all customers if you can get the offer right for that food discoverer. "The second thing is understanding what we stand for - and we’re clear than we’re a food hall, not a supermarket, and there’s a whole set of experiences and standards that go with that: quality standards, levels of creativity, the fact that we’re a seller and creator of our own things for the most part. "Being really clear about what you stand for is absolutely key." Can Alexa Chung and Jourdan Dunn revive M&S' womenswear? How can new M&S boss Steve Rowe end five years of clothing decline?